Can you afford any of it? 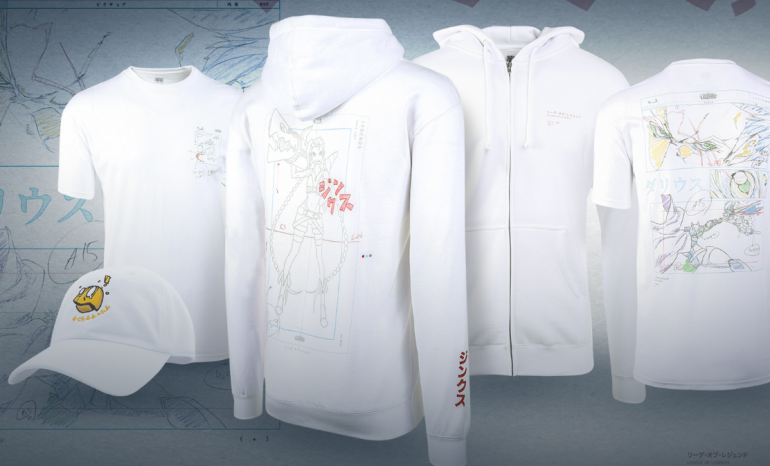 Riot Games has launched a brand-new small line of anime-themed apparel items for League of Legends fans to purchase from the official merch store. There are four items in total based around Jinx, Darius, and Blitzcrank that have been apparently inspired by the Japanese world of anime—and they’re all very pricey. The Jinx and Darius shirts, for example, will set you back $30, while the Jinx hoodie will cost an eye-watering $55. The Blitzcrank dad hat, the last item on the list, costs $25. The shirts are seemingly based on anime storyboarding-like artwork, with Jinx’s merch acting as a character model sheet. Darius’ shirt, on the other hand, depicts an anime fight scene on the back, while a smaller Darius sits in the top-left part of the front. Each item also comes emblazoned with Japanese text either on the designs or on the arms of the shirt and hoodie. Honestly, the items look a bit plain and the images on the website seem almost invisible at first glance. You’d have to get really close to each item to actually see what it is, which seems to defeat the purpose of an image being on a shirt in the first place. If you have the money to spend, though, and you like what you see, you better act fast—League items have a habit of selling out within a small time frame and are hardly ever restocked.